In the electricspace: I bought Little Nemo! Well, Little Nemo in Slumberland to be exact. Don't get me wrong, I've got nothing against fish, but this is something completely different. As a child I found a reprint of an old comic. 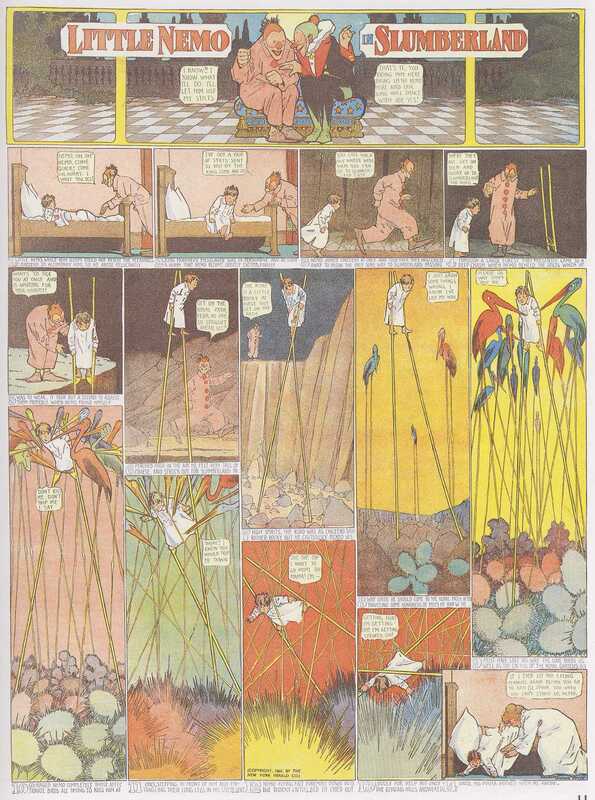 It was Little Nemo in Slumberland and was published in a newspaper between 1905 and 1913. Even though the comic strips were very dated it was still very entertaining and even fascinating. It's about a young boy that has these weird dreams and almost always wakes up at the end of the small story. Most of the time he tries to get to Slumberland but it takes him ages most of the time to get there because he wakes up all the time. I included a few images to give you an idea of how special this comic is. ps. for those who gave money for my birthday: this is what I did with it.